In the age of digital full-frame cameras with a very fast autofocus, flight-shot photography is possible that used to be (almost) unthinkable only some years ago. Ducks starting trembling over the water were (and are) still quite easy. But who managed to photograph a flying Eurasian Sparrowhawk (Accipiter nisus)? Other land birds were usually only photographed at take-off. Seabirds, on the other hand, provide the best conditions to make shoot excellent aerial images quite easy. These birds are numerous, they are tall and therefore do not move too fast. At hatching, they appear on land – albeit often on fairly inaccessible shores. Besides, they are not shy at all in flight and approach sometimes on short distances. These are a lot of reasons why seabirds are still favored by bird photographers today. They are the perfect objects to take flight shots in all aspects. With a very fast autofocus like the one on the Canon EOS 1DX or a Canon EOS 5DsR, it is possible to take pictures with the least possible motion blur or, on the contrary, take pictures with long exposure times and still focused flying objects. The best time to take photos is in early April with lots of fighting between the various species for partners and nesting sites. June is an excellent month – albeit depending on the species – for feeding scenes. Before that time, for example, the Atlantic puffins (Fratercula arctica) are largely invisible when nesting in the breeding cavity. At this time, other birds sit pretty inactive on the eggs as well. The impressive jump of the young common guillemot (Uria aalge), of which there are rarely good recordings, takes place in the last third of June. Puffins leave the breeding caves a little later in mid-July. 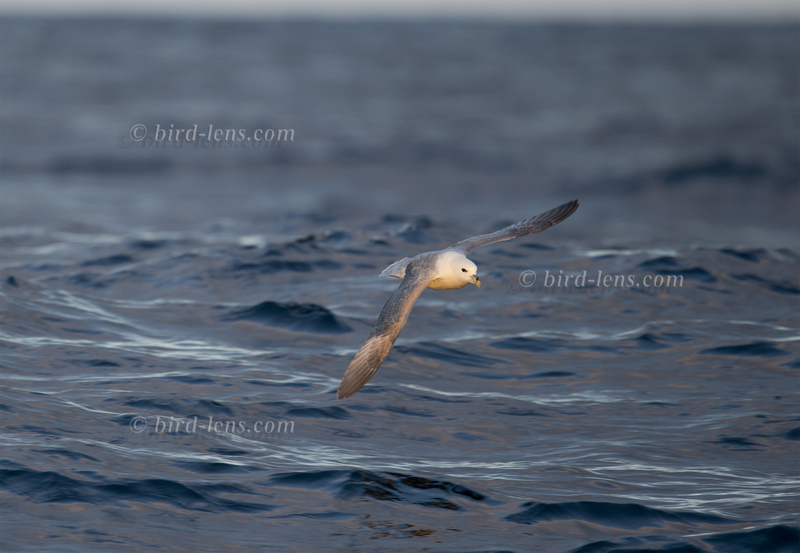 Then the Black-legged Kittiwakes (Rissa tridactyla) fly out, too. The Northern Gannet (Morus bassanus), however, remain on the rock until August / September. The young Northern Gannets have to be tall and fat when they leave the breeding-cliff. After that they will need some time to master the fascinating plunge diving. Whether on the Farnes Islands, in St. Abb’s or on Bass Rock, the seabirds are buzzing, gliding or sailing in such numbers that you can become completely confused. For appealing landscape impressions is also taken care on the Farnes Islands or near St. Abb’s. Beautiful areas you get everywhere in the picture. The most beautiful places are in St. Abb’s (the cliffs with mighty rocks located north of the reserve), on the Farnes Islands (the outer islands with beautiful rock towers), Staple Island and the inner Farnes. Here, you even can perform close wide-angle shots to approaching Kittiwakes. Rock and sea then form the beautiful background. In St. Abb’s south of the lighthouse or south of Tantillon Castle, the Bass Rock is in sight. Again, it is worth to wait patiently. You should not go directly to the castle, but make a detour on a farm located south and then go over a dirt road and two pastures on a beautiful steep ledge, where the seabirds pass by within easy reach. At low tide there are nice possibilities to shot images from below, from the cliff base. During breeding, there are approx.. 100,000 Gannets on the rock called Bass Rock. Everywhere the majestic birds sail, glide, launch and land. Here it it possible to perform wide-angle shots with landing birds and the landscape in the background. Especially nice are phases in slow flight shortly before landing. Then the beautifully drawn Gannets direct their gaze to the sitting companions, move their wings like fans and put the tail down steeply. Depending on the wind direction, they often land for quite a while always in a determined area. Sometimes I wait for these areas focused in the viewfinder. Although the automatic focus of many cameras brings good results here, I also photograph with manual pre-focus on a predetermined focus range. 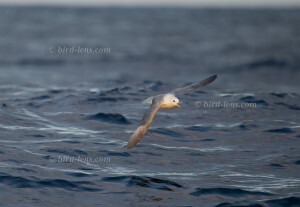 During boat excursions, seabirds often start from the water surface. They flee from the approaching boat. This is also where the best seat in the boat decides, whether you get good shots or not. A place on the left front in an open boat is best at the Farne Islands. On the port (left), the rocks also appear first, because they are rounded in a large left turn. Attention: please be careful when booking, as there are closed boats, as well. Unlike Puffins which breed on plateaus in caves, Common Guillemots (Uria aalge) lay their eggs on rocky ledges in steep edges. So you can let the birds fly over you at low tide in St. Abb’s and come to barely distorted flight silhouettes from below. A quick reaction is needed, as the heavy Alcids buzzes quickly to and from their nests. Sometimes I follow the approaching, initially blurry bird in the viewfinder and press off, just before they are completely focused. Photos of aerial combats and of diving Gannets are possible at St. Abb’s below the lighthouse. North of it a narrow path leads close to the rock about 50 meters downhill. When the sun shines on the east coast of Great Britain in the morning, you are right in the best place and in ideal conditions for shooting fighting scenes. The Seagulls sometimes grab their beaks and fall circling 20 to 30 meters down. Another excellent site are the castle ruins in the harbor of Dunbar, about 20 minutes north of St. Abb’s. There, the Kittiwakes nest close enough to touch. From here you can also rent a boat that goes towards Bass Rock and fed the Gannets along the way. Not infrequently, they are parasitized by seagulls. On the Farnes Islands in the second half of June and in July, dynamic shots of how seagulls are chasing away the puffins can be made. On Staple Island (Outer Farnes), the steep slope next to the staircase that leads to the large plateau is recommended. On the Inner Farnes it is the plateau north of the lighthouse. Here I used to photograph gulls and follow them in the viewfinder. A tripod with a high-quality Teleneiger is highly welcome. An example is the ProMediaGear GKJr. Katana Junior Teleneiger (http://www.bird-lens.com/2017/12/08/sanft-und-kontrolliert-schwenken-promediagear-gkjr-katana-junior-teleneiger/) But also a monopod relieves the hour-long pursuit of birds in the viewfinder. Many good shots are created. Handa Island is a top destination and highly recommended as an alternative to bird cliffs in eastern Great Britain. The wild rugged island is only four square kilometers in size but rises in the western part up to 150 meters. The island of Handa offers impressive seaside steep cliffs. These offer excellent breeding conditions for many northern seabirds (except Cormorants (Phalacrocorax carbo) and Gannets (Morus bassanus) due to their remoteness and the good fishing grounds. The list of breeding birds is impressive: Handa is home to Common Guillemots, Razorbill (Alca torda), Black Guillemots (Cepphus grylle), Puffins, Common Gulls (Larus canus), Great Black-backed Gull (Larus marinus), Herring Gulls (Larus argentatus) and Kittiwakes. Sometimes the best sea cliffs in Europe are very high. Then risky climbing with the heavy camera equipment is necessary. In the UK, however, there is a broad selection of good places in many not too high altitudes. But even here caution is advised: Apparently light hills can be dangerous slides in the direction of the steep edge, especially in wet conditions. To meet the growing demand for top photos of the rarer bird species of the Palaearctic, Bird-lens.com has made targeted trips to various countries. All this to be able to provide excellent photos of the birds of the Western Palearctic. The yield of pictures of rare Western Palaearctic birds is very good. Very nice bird observations and recordings bird-lens.com could be made in Europe in Scandinavia (Norway, Sweden, Finland, Denmark), in Holland, in England, in Poland, in Austria, in France, in Portugal, in Spain and of course in Germany from Heligoland to Bavaria. The beautiful picture of the blog is just a first impression of what you will find in the tab “Picture Shop” very soon. Just let bird-lens.com know if you need an image of a bird species before new images are online.